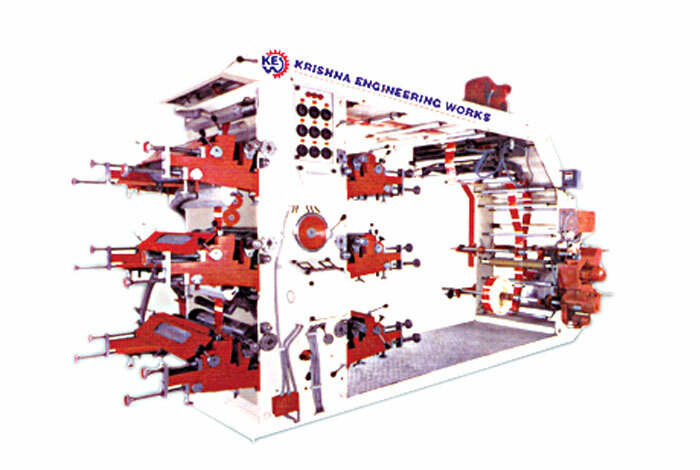 Krishna manufactures, exports & supplies all types of Flexo Printing Machines available in various sizes like: 18", 20", 22", 24", 26", 28", and 30" in Four & Six Colors, Flexographic Printing Machine from Ahmedabad, Gujarat, India. FEATURES: Registration Accuracy Strong and rebuts structure for Zero vibrations Quick Loading of Print Cylinders to minimize downtime Auto stop for Web Heater Thermostat for Power saving Helical Gears for Smoother movement Hard Chromed Anilox & Cylinder Rollers for Sharper Images Digital Counter Duplex System with to unwind and rewind stations to run two jobs at the same time Reveres printing - 1+5 or 2+4 or 3+3. Max Printing Width 18 22 28"
Print Repeat Min 8 8 8"
Print Length Max. 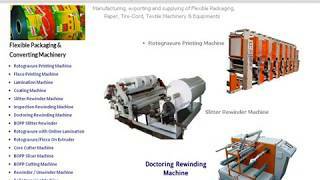 36 36 36"
Printing Speed 0 - 60 Mts/Min. 0 - 60 Mts/Min. 0 - 60 Mts/Min.